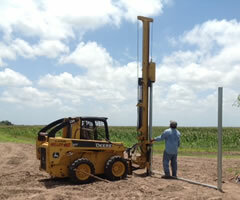 The Black Cat Fence Post Pounder is truly a one person fence post driver system. 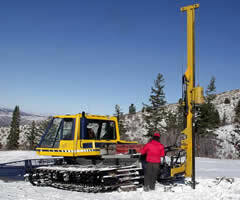 It can drive cedar, pine, T-post, and pipe, all into a mixture of ground conditions. 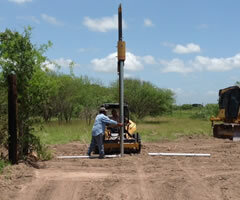 There is no more drilling, digging or tamping post in the ground, the Black Cat Post Pounder does the work for you. 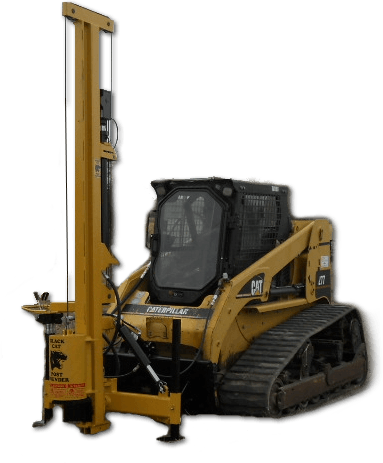 It mounts easily on most tractors or skid steer loaders (requires skid steer adapter). 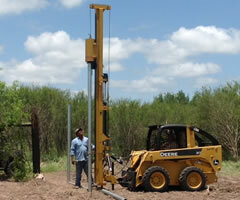 The Black Cat Fence Post Pounder is designed to reduce operational cost and increase profits. In today's world labor is often the most expensive and least efficient expense a business can have and any tool that contributes to the efficiency of labor becomes a recognizable value. 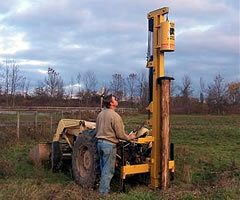 The Black Cat Fence Post Driver utilizes a 550 lb. 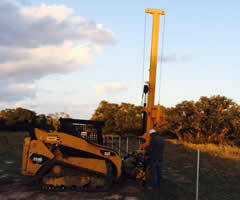 Pound driver that is lifted and released by a hydraulic over cable system designed to maximize the energy required to pound straight posts into many different soils without having to drill, set or tamp. 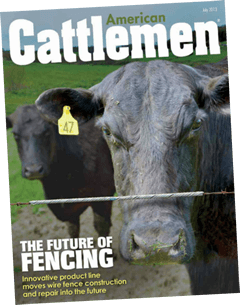 Read the complete in-depth article on the Black Cat Fence Post Pounder by Clicking Here. I bought the first prototype Black Cat Post Pounder many years ago (16 years). We have been using them ever since. We have tried other post drivers, but not found a solid unit like the Black Cat. Black Cat Post Pounder constantly improves their products and has the best support from a manufacturer. We currently run four Black Cat units in some of the most extreme conditions out there. Black Cat Post Pounders are the best drivers that we have found, they are great products !